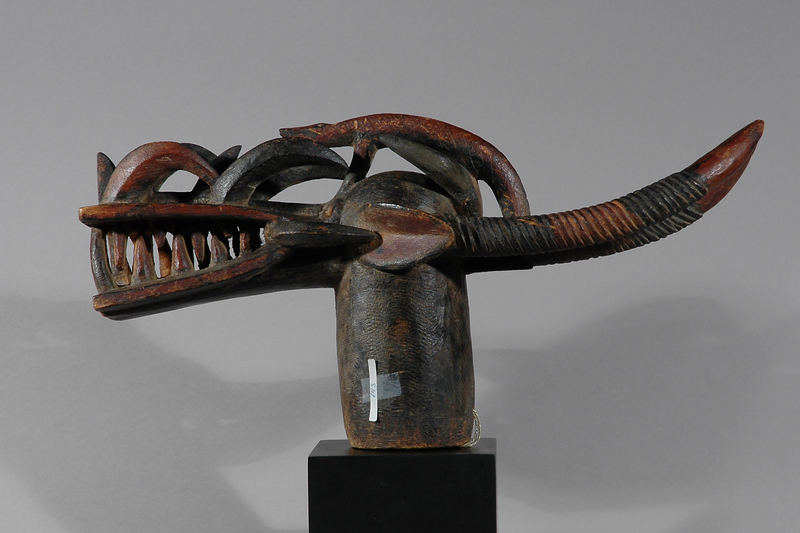 This animal shaped helmet mask is carved by the Senufo, an agricultural people, who live throughout Mali and Ivory Coast. 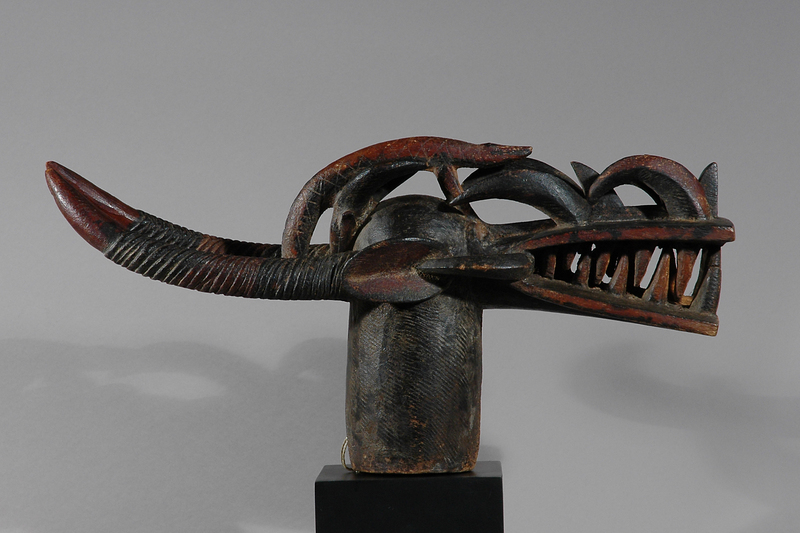 The Senufo use masks like this to frighten away treathening forces. 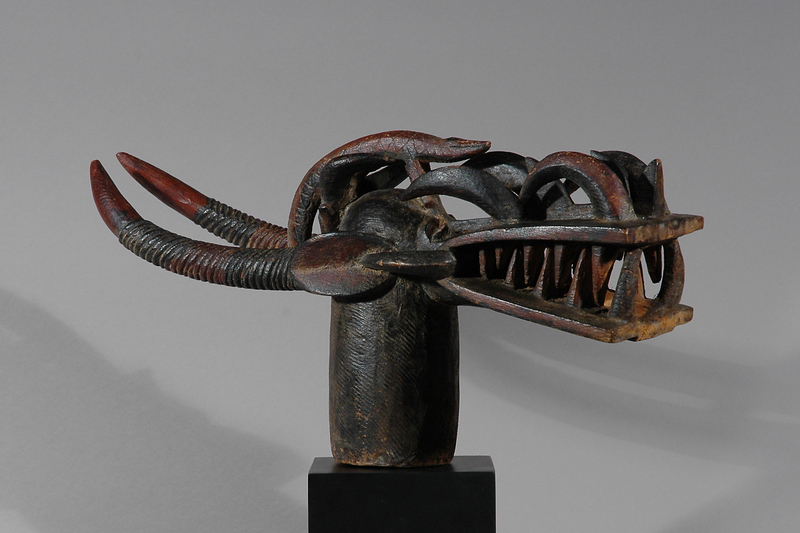 The Senufo place a very high value on art and aesthetics: Artisans and artists belong to a special caste, living apart from the farmers. 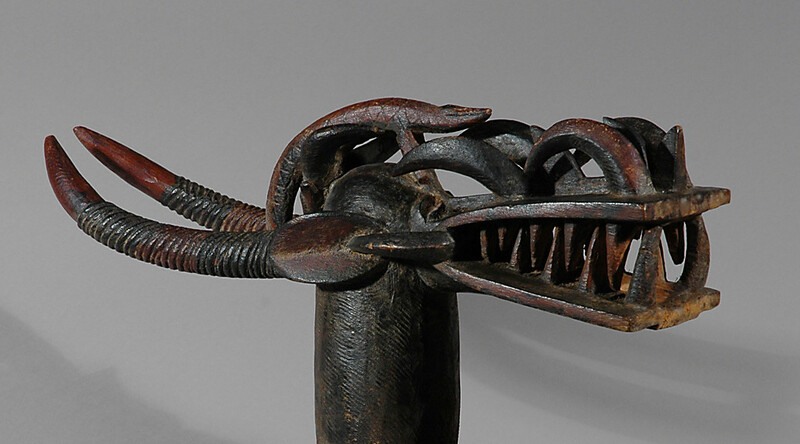 Their masks and sculptures are believed to have the ability to communicate with natural forces and the death. 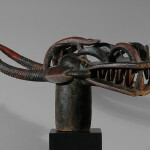 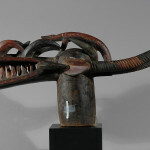 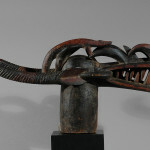 Renowned worldwide as woodworkers and mask makers, Senufo artisans typically use strong abstract shapes which is thought to have influenced Cubism, a technique of modern art practiced by Picasso and others in the early 1900s.